Dear Pastor George, Your essay about the bell in a recent Messenger brought back memories. I recall being up in the old steeple where the bell once hung. Others up there, if my memory serves me correctly, were Ed Stankey, Walter Brown and Bill Britt. Down below were Bud Walsworth and (so he recently informed me) my son, Ken. There had to be others because the thing was quite heavy and it took quite a few men to lower it. I’m sure that Ken was no help as he was quite young and was only an observer (He was born January 1951.) – Norm Rhinehart. 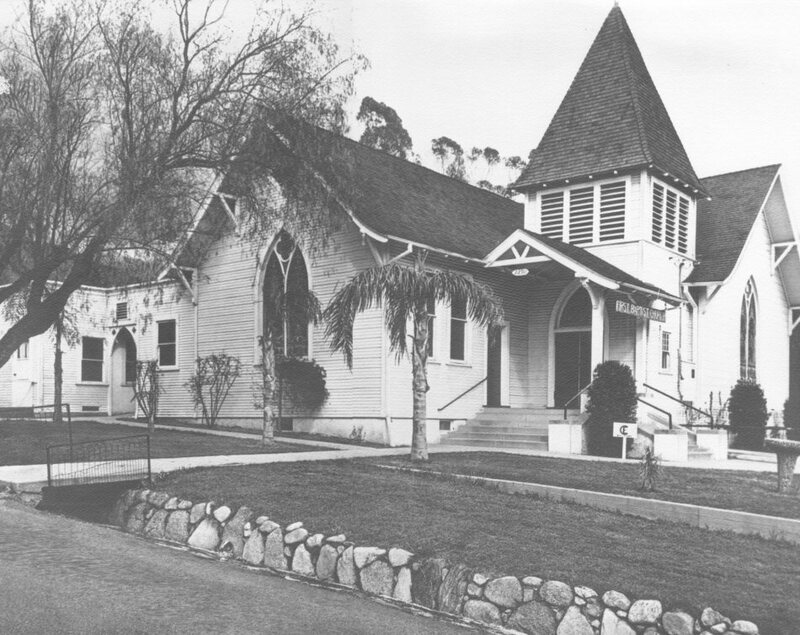 The original church, built in the 1920s on the corner lot, torn down in 1972. 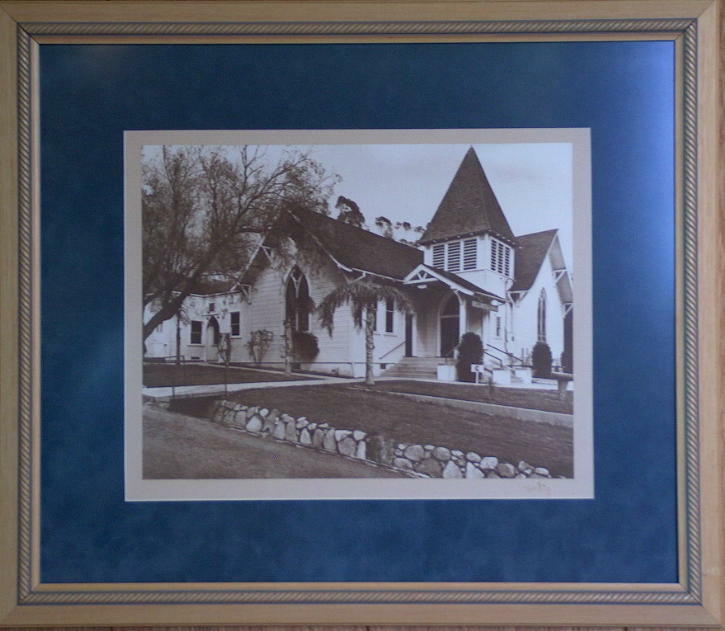 Photo taken by first church clerk, R.N. Martin, around 1960. 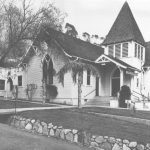 2009 was the 75th anniversary of the church. 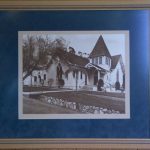 In the interests of preserving our history, some of the earliest books (from 1st Baptist) are being scanned for you to look at. If you have dialup, you probably won’t want to download these PDF format items as they are pretty large (the size is shown). The “title” won’t mean much, your webmaster just needed a way to describe the book. Keep watch over time as more will be added. BlackBookBlueBinding (12.7megs) – Rev Clinton Goodwin kept a book with clippings in it. There’s also some receipts for utilities, nominating committee recommedations, and a couple pictures. SmallBrownBook (3,5megs) – The first minutes book, kept b R.N. Martin, first clerk. Also includes the first membership record, and attendance figures.